Are you looking for Best Yoga Teacher Training in Rishikesh? If you said YES! Then you’re at the right place. Himalayan Yoga Association (Himalayan yoga ashram) is one of India’s most reputed Yoga school in Rishikesh that aims to spread traditional Ashtanga Yoga / Hatha Yoga & Vinyasa flow (Multi-style) yoga teachings throughout the world “as it is” so that everyone can learn secrets of living healthy & blissful yogic life-style. Join us to have such life transforming experience in The world capital of Yoga in Rishikesh, We currently lead Multi-Style in 100 hour yoga teacher training in Rishikesh, 200 hours yoga teacher training in Rishikesh, 300 hour yoga teacher training in Rishikesh, 500 hour yoga teacher training course in rishikesh, Our all courses are affiliated by yoga alliance USA, Yoga alliance UK, Yoga alliance inter-national. 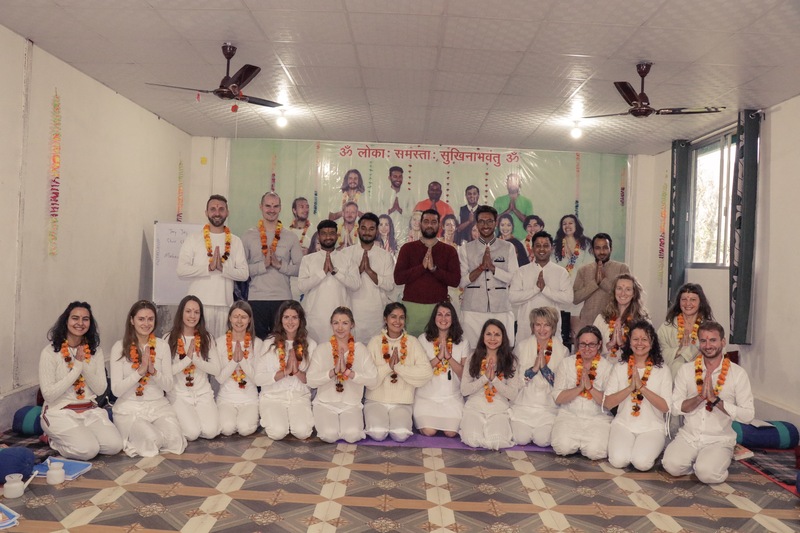 As a Reputed yoga school in rishikesh, We provide a great team of accomplished yogis who speaks through their consciousness, who has experienced what they teach, providing students true yogic life-style so that they can experience & unite with their true blissful self. Providing traditional yoga teachings by our Expert Yoga Teachers in Rishikesh as it was years back, providing students pious environment to go beyond the physical and mental state of awareness to live the life in everlasting bliss. Our aim is to provide practitioners authentic yoga education as it is through our yoga teacher training in Rishikesh.